Amazon Echo Show features an Alexa-powered smart speaker with a 10.1-inch HD touch display. A display at the front, physical buttons for volume control at the top and a trapezium-shaped rear, housing the speaker and the power cable (the lumpy rear looks like the back of a CRT TV) - the design part of the second-generation Amazon Echo Show may not wow you, especially as it is quite expensive by Indian standards. But it features an Alexa-powered smart speaker with a 10.1-inch HD touch display, eight microphones to pick up commands even when music is playing and comes with a refined software programme, all of which make it bigger and better. Smart speakers are a great way to communicate and adding a screen further enhances user experience. 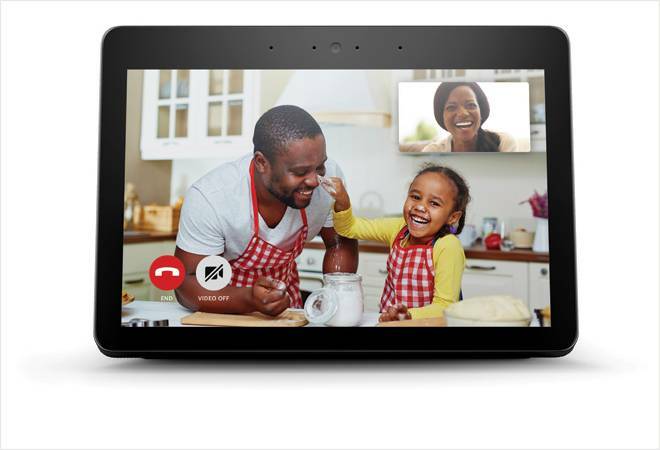 The Echo Show can be placed anywhere at home or in your office cabin depending on where you need quick access to information and home controls. For the latter, you get the Zigbee smart hub built-in for pairing with devices such as the Philips Hue bulb (without the hub). One can also retrofit it with existing home automation solutions. Moreover, an increasing number of Alexa-compatible devices also support Wi-Fi connectivity, making them easy to operate. Just tell it: Alexa, discover devices, and it starts looking for compatible gadgets and connects with them. If you want to ditch the voice command, swipe down from the top of Echo Show to get one-touch access to all smart appliances paired with Echo Show. But for all this, you will have to enable compatible skills (apps for the voice assistant). Other than controlling home devices, I was able to fetch news updates, access recipes, play music, answer quiz questions, get information on 2019 Lok Sabha elections and Cricket World Cup and did much more. Alexa is not perfect, though. When I asked for euro-to-INR conversion, it managed to fetch the day's rate, but could not provide the previous day's currency rate or the fluctuation chart for the month. Another pain point is its lack of YouTube skill. Although I could watch trailers, movies and videos on Amazon Prime or other skills, I had to use Silk or Mozilla browser to access YouTube, and it was not a seamless experience. The 5 MP camera above the display can be used for video calls on the Alexa ecosystem or Drop In. The latter is a two-way communication with Alexa where the camera and the mics get activated automatically. Those concerned about privacy can disable them by using the mute button at the top. Finally, Echo Show packs in dual 2-inch neodymium drivers and a passive bass radiator for the audio, but the sound is still muffled. Although I was able to adjust bass, treble and mids, the audio lacked clarity and base. Overall, the latest offering from the Echo stable works well and looks cool. But with so many screens around us, do we need another one with expensive upgrades?